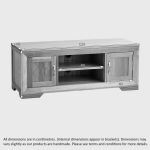 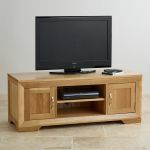 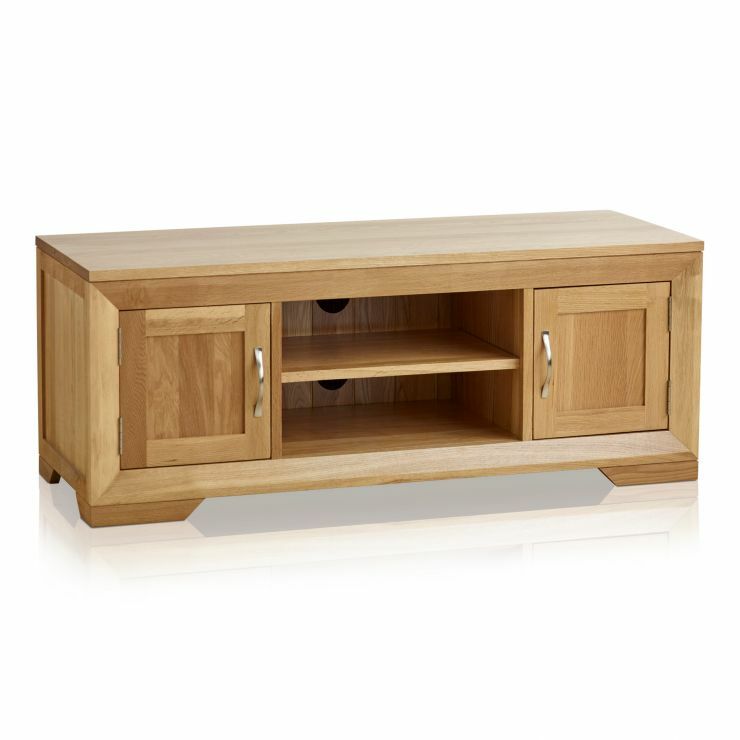 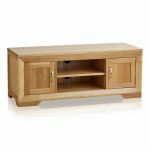 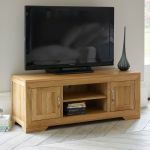 The Bevel Natural Solid Oak Large TV Unit has been designed to house your new big TV, with all its associated appliances and media. 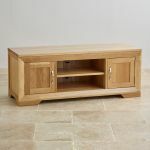 Made from only the finest cuts of solid oak, the unit features a softly bevelled face frame with expertly mitred corner joints. 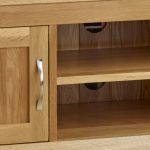 The two deep shelves are ideal for your Sky/Freeview box and DVD player, and the two brushed metal handled cupboards provide plenty of storage space for DVDs, CDs and games. 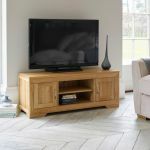 Standing on elegantly angled corner feet the whole unit has been enriched with a coating of Furniture Wax to enhance the inherent warmth and character of the oak's grain.